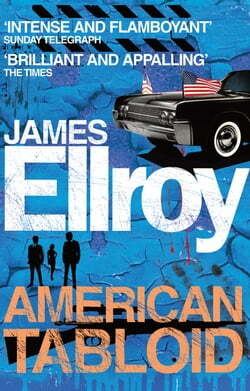 The first novel in Ellroy's extraordinary Underworld USA Trilogy as featured on BBC Radio 4's A Good Read. 1958. America is about to emerge into a bright new age - an age that will last until the 1000 days of John F Kennedy's presidency. Three men move beneath the glossy surface of power, men... read more allied to the makers and shakers of the era. Pete Bondurant - Howard Hughes's right-hand man, Jimmy Hoffa's hitman. Kemper Boyd - employed by J Edgar Hoover to infiltrate the Kennedy clan. Ward Littell - a man seeking redemption in Bobby Kennedy's drive against organised crime. The festering discount of the age that burns brightly in these men's hearts will go into supernova as the Bay of Pigs ends in calamity, the Mob clamours for payback and the 1000 days ends in brutal quietus in 1963.